The Vladikavkaz outpost of Valery Gergiev’s Mariinsky empire has been treated to a piano recital by Abisal Gergiev, son of the supreme leader. A student at the St Petersburg conservatoire, Abisal played Bach, Schubert, Chopin, and Rachmaninov. Gergiev’s sister, Larissa Gergeieva, is head of the Mariinsky’s youth academy. Vladikavkaz, in northern Ossetia, is the family’s home province. 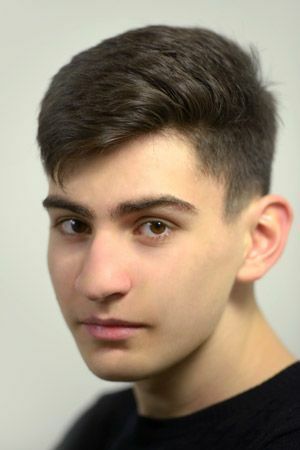 Abisal Gergiev, 18, is already listed on the Mariinsky site. Whatever his lineage the only thing that matters is did he do justice to the music, is he any good? But then a dig at his father maybe matters more? Which? Anybody surprised? The kid plays a concert with another kid in Vladikavkaz. Son of Gergiev. The kid deserves experience, it is not his fault that his daddy is a monster! He is less of a monster than the great would-be leader of ‘the deplorables’. He has talent, for starters, and doesn’t have the misfortune of having a face like a dropped pie. A WHAT?! You’re not right in the head! Having a famous parent (or parents) in the same line of work can be more a curse than a blessing. As long as he is talented, who cares? Didn’t Leopold push the career (and as a child too) of his son, Wolfgang Amadeus? Was that bad for music? More recently, how about Kurt Masur and his son, Kurt David Masur? So what? Just like Chelsea Clinton, daughter of the ‘supreme leader’ though I daresay not nearly as talented as Gergiev’s offspring. And 20 times better looking!! Chelsea Clinton is also Rhodes scholar who continued and got a doctorate from Oxford. Those don’t get handed out for no reason. She did graduate from Oxford, but she wasn’t a Rhodes scholar. Nepotism. But this is not the exclusive province of Gergiev & Co. To wit: the Bachs, the Mozarts, the Kleibers, the Menuhins, the Masurs, the Mutis, the Barenboims. There are others of course. If you had children who were musically talented would you say, “I can’t be bothered to help you. Struggle along as best you can.”? I guess one will have to go to Vladikavkaz to hear him? Abisal Gergiev performed last summer at his father’s festival in Mikkeli / Finland : a recital and Scriabin’s Piano Concerto. Before that he had played several times under his father’s baton with the Mariinsky Theatre Symphony Orchestra, among others Piano Concertos by Prokofiev and Poulenc. Good luck to Abisail Georgiev. He must get an excellent coaching from his ant Larissa that’s a fabulous pianist and musician. it help to be raised as musician in such family. I played in Vladikavkaz 50+ years ago. Beautiful town in gorgeous region. At the very least, he does have better hair. And who could forget the Domingos? pity for all the thousands of excellent pianists who can’t “see the light” as they have ordinary parents…. by the way, about Gergiev, I just want him to complete the excellent Shostakovich cycle he started on the Mariinksy label, as it looks like he forgot a few symphonies… buy maybe now he’s busy on starting new incomplete cycles in Munich…. He looks gay, like his bisexual father. VG bisexual? A fact? A rumor? speculation? Honestly, altho i’m not a Gergiev, (conductor) fan, if the son makes the Noises ok, wine hot? And as he has better Hair, he won’t need to worry about giving a WIGmore rectal, (so Bald wie möglich!). As for the comments about “gay” looks, “bisexual” father, etc, there’s lots written by Sehr-Gay Prokofiev, Sehr-Gay Rachmaninov, Vassilyn Kalinnikov, etc to provide suitable repertoire. One only need ask who are-sole agents for this thrusting youth. In my opinion, the father and son should exchange names: Abyssal for the con-duck-tour, and Valery for the young hopeful.